Protean Construction Products Inc. is a single source custom panel manufacturer allowing us to meet virtually any of your creative wall designs. Our team of experts includes design and installation specialists who are available to meet your specific needs, including custom designs. Our staff is capable of assisting in budget pricing, design solutions, product selection, engineering, product approval, and possible fabrication issues related to our products. Our sales department and manufacturer's representatives are available to assist with your project to ensure the proper products are selected to meet your requirements. If you need to discuss your project requirements or would like someone to contact you, check out your options on our contact page. 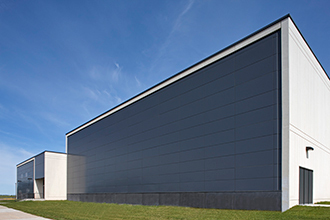 Protean Construction Products Inc. is a single source panel manufacturer, which offers a wide variety of customer services to assist in the successful design and installation of our wall panel systems. We have a staff qualified to answer any of your questions or offer technical support from design through installation. These services are available by either contacting Protean directly, of through your local manufacturer's representative. Our sales and estimating department is available to offer technical support, assistance in product selection, product samples, budget pricing, material take offs, and project specific quotations. Project management will work closely with the customer from start to finish on every project to ensure schedules are met and the panels are properly fabricated and installed. Protean's project management team will oversee the submittal process and production of your project. Our drafting/engineering department will put together a full submittal package shop drawings, color selection samples, and product data is assembled for approvals. During this process, our engineering department will identify and resolve any discrepancies or design issues to help ensure proper panel fabrication and installation. Throughout the submittal and production process, there are several quality control check points to insure that quality and accuracy are not overlooked. Protean's project management team will, upon receipt of approved shop drawings, oversee preparation of fabrication drawings and field use drawings required for panel installation. All of our systems are manufactured in-house allowing us to prioritize fabrication, control fabrication schedules, and monitor the quality of our products. When the fabrication of your products has been completed, project management will coordinate material deliveries through Independent shipping companies contracted to transport materials to the project site or specified delivery location. All products are shipped to the site ready for installation with a few exceptions no field fabrication required. When fabrication of your products is complete and materials have been delivered, project management will coordinate with you, our customer, to provide all necessary close-out documents which include record set shop drawings, installation instructions, care and maintenance manuals and required warranties. Contact us for help.